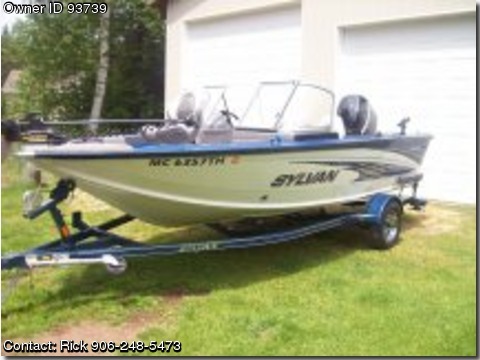 BOAT OWNER'S NOTES: Call Rick @ 906-248-5473. 2011 SYLVAN 1700 DC Adventurer 17' Boat/Trailer for sale. 90 HP Mercury 4-stroke outboard, Auto-pilot , MINNKOTA trolling motor. 4 rod holders, am/fm/cd stereo, HUMMINGBIRD 587 fish finder/internal g.p.s. and depth, 3 years warranty remaining. Less than 25 hrs. on this boat/motor, Great for fishing or pleasure. Contact Owner 906-248-5473, or e-mail rlbak@jamadots.com.